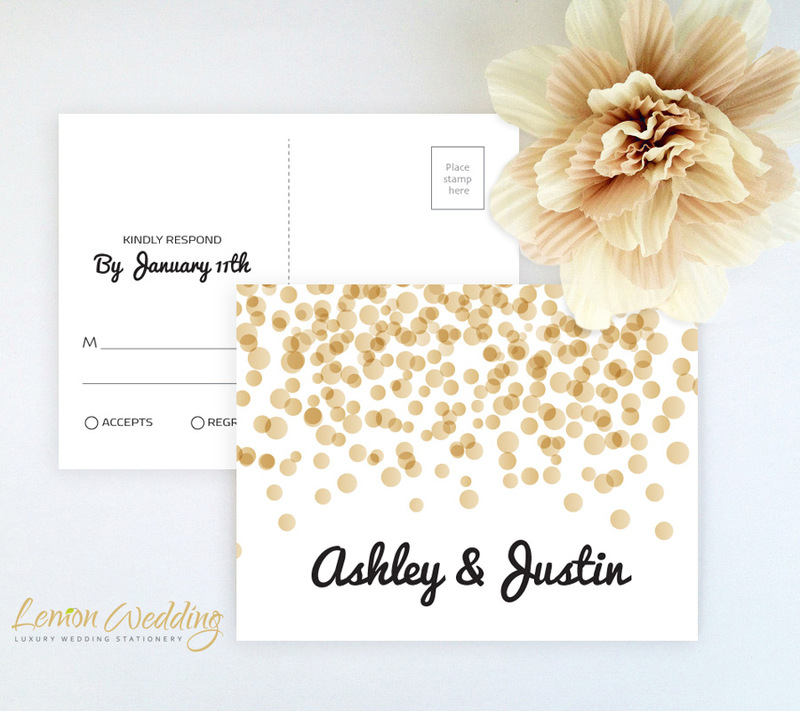 Your wedding day will be here before you know it! 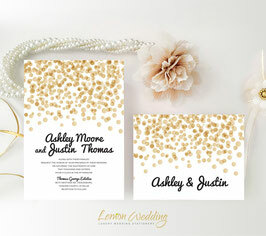 So let your love ones know more about your special day with our Polka Dot Wedding Invitations. 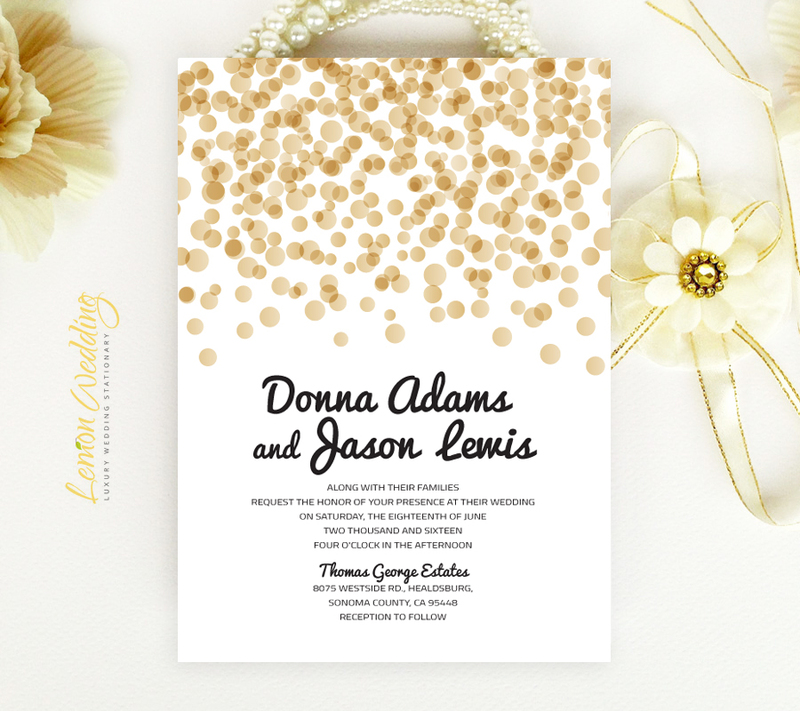 Accented with a timeless polka dot design, our invites happen to be perfect for a glamourous wedding. 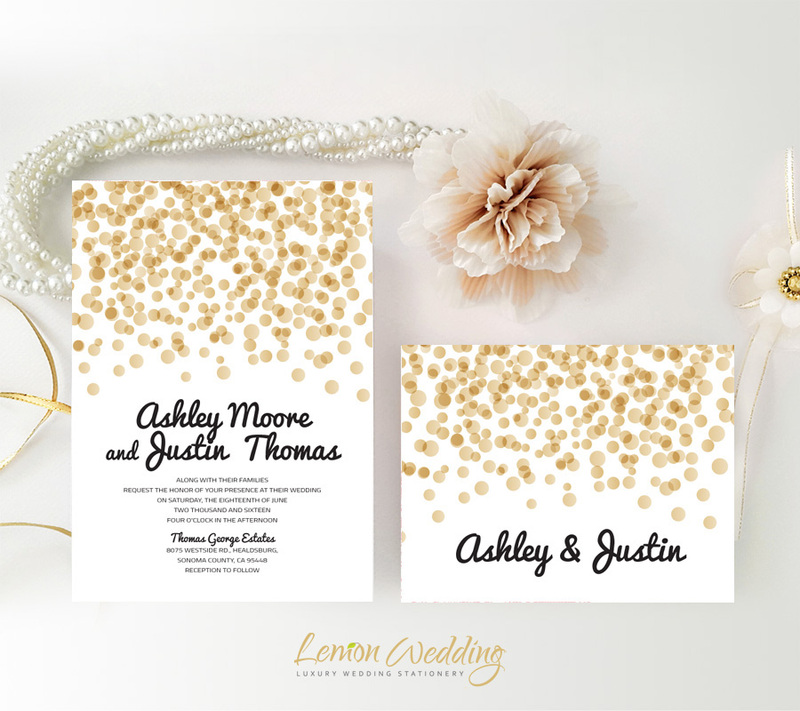 This set of invites includes an RSVP postcard and wedding invite printed on premium paper with a splash of golden confetti.